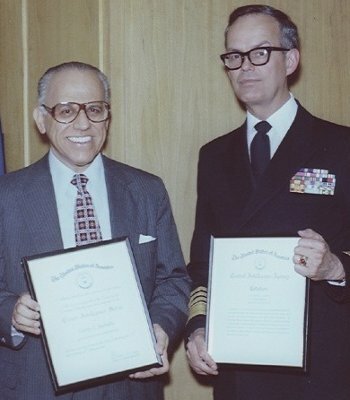 Intelligence Medal for "exceptional achievement"
from deputy C.I.A. director Bobby Ray Inman. Oswald before President Kennedy was killed. exit out of the kill zone and evidence zones within 9 minutes of the shots. directly towards the "grassy knoll"
Rosemary's extremely rapid head snap towards the "grassy knoll" was a 90 to 100 degree, westward head snap done in a very fast 0.16 second. Because of the ultrafast rotation of Rosemary's head snap that was a measurable 549 to 610 degrees-per-second speed, Rosemary’s head snap was also, most likely, an impulsive attraction . . . . that she displayed when she extremely rapidly moved her head away from facing the southWEST corner of the book depository**, towards her simultaneously facing Mr. Zapruder, and, the long suspected, "grassy knoll" picket fence that is a scientifically determined shot source location (that was nearly directly behind Mr. Zapruder from Rosemary's line of sight at her head snap instant in time). Rosemary is very easy to locate in the Zapruder film. ** the 6th floor, farthest southWEST corner of the Depository is also the exact same location that Mr. Arnold L. Rowland precisely Warren Commission-testified and then recorded in 1967 describing on camera that at 12:15 to 12 :16 PM CDT he closely watched a rifle armed assassin who weighed 200 pounds, who was a light complected Latin, or, a Caucasian with darker skin than normal, had black/very dark, non-receding hair, with a white or light colored buttoned shirt with a separate tee shirt also visible underneath, and wearing either blue jeans or dark colored slacks. open windows of the School Book Depository. Latin or darker Caucasian second rifle-armed assassin near at 12:15 to 12:16 PM. + + + + and accomplish all of his many previous, minimum-required actions -----covering SEVERAL HUNDREDS OF FEET, and, covering all these mandated actions to be executed within the commission-"lone-nut"-recreated 75 to 90 seconds -----in order to already be seen through the outer vestibule door window by Dallas Motorcycleman, Marrion Baker in a demeanor testified to by, both, his supervisor Roy Truly and Baker while Baker was very close by to Oswald, within a few feet, and simultaneously aiming his loaded revolver right at Oswald, that Oswald was perfectly calm, collected, not sweating, and Oswald was not breathing hard nor out of breath. officers drew a weapon on him." different descriptions, on the Depository sixth floor . . . .
a gun in his hand." and informative assassination research detailed map of Dealey Plaza with respect to 11-22-63.
considerations all gathered in one very convenient resource. Here is the video and a transcript of President Kennedy's June 10, 1963, WashDC American University Commencement Address speech . . . .
- I’ll be dead before that ever happens. . . . . hand written card left at the United Airlines Flight 93 Memorial, Shanksville, PA . . . .
click here for valuable information and then, Please, consider giving a few moments for a serviceman and/or servicewoman to put together your care package of "goodies," or a letter, or even an email for our serving Veterans . . . . 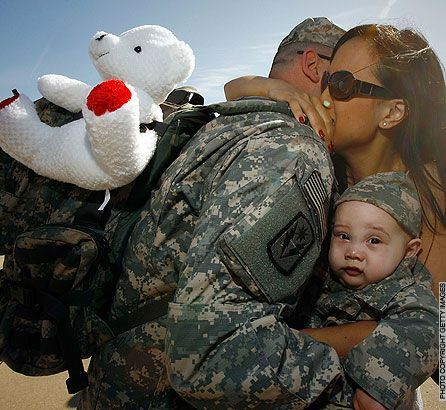 Your support, truly, feels like GOLD for each and every Veteran + the additional men, women, and their loved ones that they will share your support with. 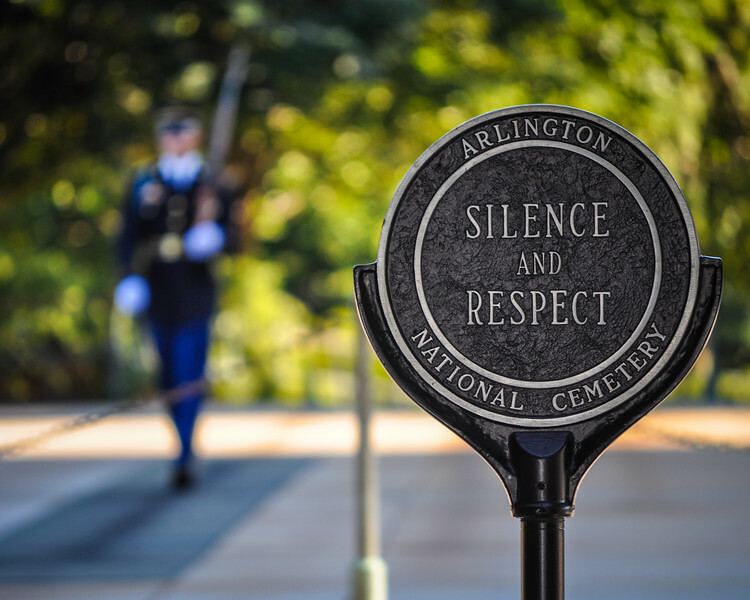 The three words appearing on the small, serious sign greeting visitors to the Arlington National Cemetery for all military veterans, are both mandate and descriptor. "You and I have the courage to say to our enemies . . . .
"Evil is powerless, if, The Good are un-afraid." righteousness, like the stars for ever and ever." but violence overwhelms the mouth of the wicked." "That would have been .... fine= with me." 12-8-75 by the United States Secret Service Agent, CLINT J. HILL to "60 Minutes,"
CLINT HILL: The right rear portion of his head was missing. Another very rare VIDEO interview with SAMUEL A. KINNEY, the driver of the Secret Service follow-up Cadillac car that was right behind President KENNEDY....In this video KINNEY can be seen and heard in this rare VIDEO interview describing, matching, and supporting the sizeable majority of the Dealey Plaza kill zone witnesses, when KINNEY reproduces for you the very rapidly bunched, close timing of the last 2 shots that he remembered hearing (or could hear) . . . . a close bunching of shots that was much, much too close together to have been fired from only one manual bolt operated weapon). because that’s the part I saw blow out .... then the skin went back in." separate, loud shots that were fired . . . .
. . . . meaning . . . .
. . . . Many persons still do not, yet, know that of the four Secret Service Agents standing on the running boards of the Secret Service followup car behind President KENNEDY, Agent CLINT HILL was actually one of the three Secret Service Agents who pro-actively reacted protectively to the shots during the attack (albeit, they all reacted too late, possibly/probably because several of the key Agents --including CLINT HILL-- had chosen-wanted-needed to drink alcohol until 4:30 AM the very same morning that President KENNEDY was killed----violating strict Secret Service duty status regulations). - - - - who immediately screamed at the same reacting Agents to . . . .
- - - - during the shots - - - - during the critical seconds, at the very heart of the attack. CLINT J. HILL also commission-testified that it was ROBERTS boss and long time best friend, FLOYD M. BORING, the Assistant Special Agent In Charge of the White House Secret Service Detail, who had claimed and personally told all of the SS Agents that President KENNEDY had ordered that KENNEDY did not want any SS Agents riding on the limousine's rear bumper in Texas . . . .
. . . . in fact . . . .
President KENNEDY . . . .
. . . . Additionally, to date, it is also still unknown which murder-cade "official(s)" at Love Field airport, sometime before the murder-cade started, quickly changed the murder-cade vehicles staging order (simply written as a sequential number on a piece of paper that was simply attached to each vehicle windshield), so that ----unlike almost all previous motorcades for President KENNEDY---- the many media photographers and movie cameramen were changed from their almost always previous filming motorcade location in front of the limousine.... to .... the media in the Dallas murder-cade were all staged to ride and film from well behind the President, thus, preventing the media from closely documenting the attack. In the 1990's, when the U.S. government President KENNEDY Assassination Records Review Board ("ARRB") requested very key Secret Service Records related to the assassination and other motorcades, the ARRB was told by the Secret Service that the Secret Service had, instead, decided on its own, (after the ARRB had already started) to recently destroy very crucial 1963 assassination and motorcades files it had kept possession of for over 30 years. . . . . Interestingly, also in Dallas, the President's personal physician, United States Navy Rear Admiral GEORGE GREGORY BURKLEY, was moved by some "official(s)" out of his normal position of riding within the President's limousine ----normally riding very close to the President---- but in the Dallas murder-cade doctor BURKLEY was, instead, staged into a very-far-behind-JFK murder-cade tour bus.... 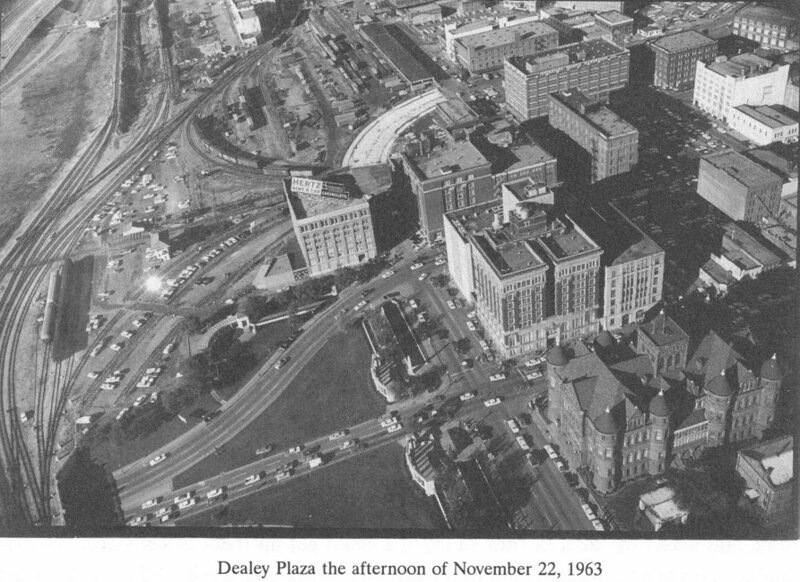 Doctor BURKLEY being moved extremely far back in the murder-cade, of course, also completely prevented BURKLEY from providing immediate emergency medical help for President KENNEDY, and, also prevented BURKLEY from his also protectively shielding the president with his own body during the shots. Congress passed the JFK Act of 1992. One month later, the Secret Service began its compliance efforts. However, in January 1995, the Secret Service destroyed presidential protection survey reports for some of President Kennedy’s trips in the fall of 1963. The Review Board learned of the destruction approximately one week after the Secret Service destroyed them, when the Board was drafting its request for additional information. The Board believed that the Secret Service files on the President’s travel in the weeks preceding his murder would be relevant. As the ARRB’s Doug Horne wrote in a memo dated April 16, 1996: “The ‘final decision’ to approve the Texas trip made ‘late Tuesday night’ indicates that decision came on September 24, 1963 … the Secret Service Protective Survey Reports … which were destroyed in 1995 commence with trip files starting on this same date: September 24, 1963. “Thus far, the US Secret Service collection is in 6 gray archive boxes for documents, 7 large, flat gray boxes with newspapers and clippings, and 1 small box with a tape cassette.” … In Box 5 there are three folders marked “trip file”. All are empty. The chairman of the ARRB, Judge Jack Tunheim, stated: “The Secret Service destroyed records after we were on the job and working. They claimed it was a mistake that it was just by the normal progression of records destruction. More important are the Florida/Chicago Secret Service Advance reports that the Secret Service intentionally destroyed after being asked for them by the ARRB, and that, according to The Kennedy Detail, Gerald Blaine has copies of and preserved. The largest number of known destroyed JFK documents for the U.S. Secret Service was implemented by James Mastrovito, publicly recorded in the ARRB Collection, Joan Zimmerman Correspondence File, Created 04/01/97 CALL REPORT/PUBLIC. USSS Records. Mastrovito destroyed a vial containing a portion of JFK's brain, along with 5 or 6 file cabinets of material, according to the two page document. 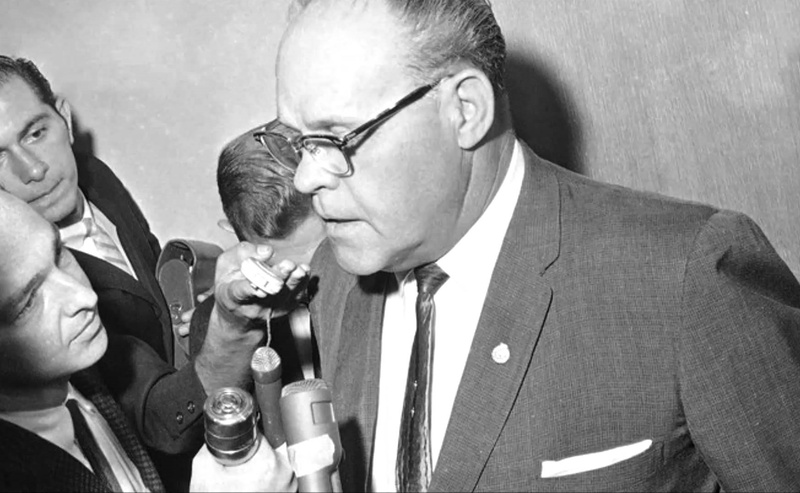 . . . . Dallas Chief of Police, JESSE E. CURRY . . . .
.... describing the, supposed, "Secret Service agent" that Dallas Police Officer Patrolman JOE MARSHALL SMITH quickly encountered very close to the grassy knoll shortly after the shots Patrolman SMITH could hear. During the shots Patrolman SMITH was stationed standing in the street intersection of Houston and Elm streets, slightly east and south of being nearly directly in front of the much, much nearer to him (87' to be exact) Warren Commission-apologists, supposed, "lone-nut" "snipers lair." During and after the shots he could hear, Patrolman SMITH, instead, was attracted to, first, run completely past the much closer, supposed, "snipers lair," towards the much further away grassy knoll from where SMITH (as did also dozens of witnesses and weapons gunfire-experienced professional law enforcement witnesses) commission-testified that he sensed that, at least, one audible muzzle blast was triggered from a location about level with himself (NOT from a location closer to himself that was angled steeply 56' above his head). .... While running completely past the Depository a woman witness screamed to Patrolman SMITH. "They're shooting the president from the bushes! ", then SMITH drew his police revolver and started checking bushes between the Depository and its grassy knoll parking lot. nominated author and journalist, ANTHONY SUMMERS. . . .
the grassy knoll . . . .
. . . . originating further away from Patrolman SMITH than the much, much closer Depository. "They’re shooting the President from the bushes!" . . . . Patrolman SMITH then, in fact, soon encountered a seemingly un-armed man in the grassy knoll parking lot area, near bushes and very close to the grassy knoll picket fence, who quickly claimed to SMITH that he was an "agent," then, this "agent" simultaneously and quickly flashed at SMITH (voluntarily, without Patrolman SMITH first asking him) "agent" identification credentials claiming to be from the Secret Service. If this man that SMITH encountered close to the grassy knoll picket fence had been an actual Secret Service Agent, the man would have also been armed with a standard Secret Service-issued hand gun. Patrolman SMITH also testified that when he arrived at the fence, trees, and bushes of the grassy knoll parking lot, SMITH immediately and distinctly detected the acrid smell of gun powder . . . . exactly as did many additional GROUND and STREET-level witnesses, all of whom, very importantly, were located, at least, 61 to 80+ feet BELOW the Warren Commission-apologists, supposed, "lone-nut" "snipers lair" (plus, also very importantly, the 13-knots, north-eastward wind direction was blowing from the bridge and grassy knoll in front of the limousine, towards the Warren Commission-apologists, supposed, "lone-nut" "snipers lair" located several hundreds of feet BEHIND the limousine) . . . .
any United States government "agent" nor "agents,"
buildings during President Kennedy's elimination. Michael Parks recently came across evidence of even another witness to the knoll agent. 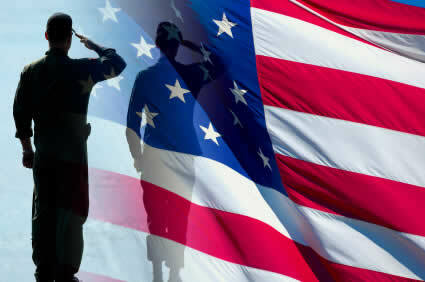 He relayed this from Mrs. Charles Blankenship: Her husband, Charles "Charlie" Blankenship was with the DPS [Department of Defense Protective Services; my insertion] office from another county other than Dallas. She recalled him working out of the Fort Worth office but was not sure. He was off duty on 11/22/63 but had come to Dallas to see the president with other officers stationed in Dallas. He was standing on the east side of Houston Street in front of the Records Building. He heard the shooting and, like many other lawmen, ran to where he felt the shots had originated, this being the knoll area. He supposedly encountered two men in suits that stated they were Secret Service agents. They told him he could go no further and he turned and left Dealey Plaza. He was not interviewed by any agency and kept this story to his immediate family until his death. ........Another of the several key witnesses that also encountered a, supposed, "agent" or supposed "Secret Service agent" was Mr. MALCOLM SUMMERS , who, within one to two minutes after the shots , and along with other co-witnesses near Mr. SUMMERS at a specific location approximately 50’ northeast of Mr. ZAPRUDER’s filming pedestal, encountered a business suit and business hat wearing "agent" man on the Elm Street side of the grassy knoll. Mr. SUMMERS also detailed for us that this "agent" was armed with a concealed “machine gun-like” weapon that this "agent" had that was mostly hidden under the "agent’s" large overcoat, hanging widely draped over his arm. "Secret Service: On the Knoll and Beyond"
"The Secret Service Agent on the Knoll"
VINCE PALAMARA research study, "Secret Service Agents Who Believed in Conspiracy"
MICHAEL GRIFFITH research study, "Extra Bullets and Missed Shots in Dealey Plaza"
From the after-action report filed by Dallas Deputy Sheriff, W. W. “Bo” MABRA, here . . . .
Houston St., when the car bearing Pres. Kennedy passed. Appx 1 min. after the car turned right onto Houston St.
and helped search this area. prior hour he was behind the grassy knoll picket fence. . . .
a single, actually-Dallas-employed, uniformed "policeman"
point only 55' to 60' from Elm Street. Scientists peers reviewed research study . . . .
Bullet Lots: Is a Second Shooter Possible?" is considered a match to one or more assassination fragments. attributable to the main suspect, Mr. Oswald. Dr. DONALD THOMAS peers reviewed research studies with respect to the assassination gunshots that were recorded in Dealey Plaza on the Dallas police radio communication channel one and the shot fired from the grassy knoll . . . .
"In 1978 the House Select Committee on Assassinations was presented with acoustical evidence that multiple assassins had been involved in the murder-elimination of President John F. Kennedy. 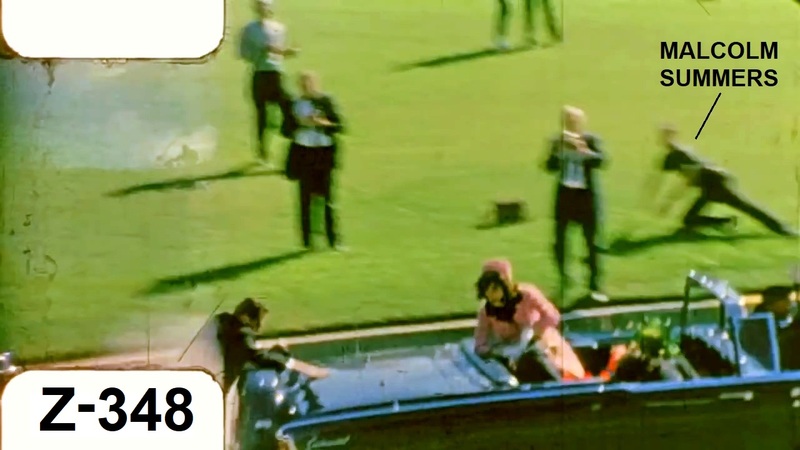 During the hearing, staff members played a tape recording for the Committee with the explanation that they were about to hear a rifle shot fired from the grassy knoll. After listening to this tape the ranking member of the Committee, Representative Samuel Devine of Ohio, rose in the chamber to declare that he had a great deal of experience with firearms and familiarity with rifle fire. He knew a gunshot when he heard one, he said, and the sound alleged to be from the grassy knoll could be many things, but it was clearly not a rifle shot. The staff then explained to Mr. Devine that the tape recording was of a test shot fired from the grassy knoll that summer; not the Dallas Police tape from 1963. The incident suggests two things. First, that one cannot determine that a recorded sound is or is not gunfire merely by listening with the naked ear. Secondly, it suggests that Congressman Devine may not have been completely open-minded to the concept under investigation by his Committee." indications of the second assassin. 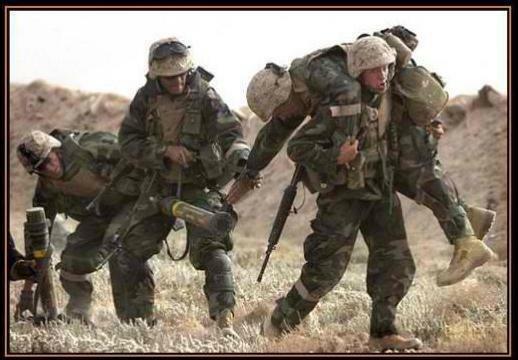 CAROL HEWETT outstanding research study, "Silencers, Sniper Rifles & the C.I.A." Please read the public announcement of my discovery of the SECOND head snap clearly exhibited by ROSEMARY WILLIS that is documented in the ZAPRUDER film . . . .
. . . . an attracted, ultrafast, 90 to 100 degrees, westward head snap response that ROSEMARY exhibited within only 0.16 second when she impulsively snapped her head away from her facing the far southWEST corner of the Book Depository (the exact same Depository location where witness ARNOLD ROWLAND observed the sixth floor second, rifle armed assassin), towards ROSEMARY rapidly directly facing the long-suspected grassy knoll picket fence . . . .
Whatever it was that caused the ten-year-old girl's first reaction approximately Z-frame 190, it is not the most important Zapruder film documented reaction with respect to very close Dealey Plaza assassination witness, Rosemary Willis. The most important documented reaction, by far, with respect to Rosemary Willis is what caused and attracted the young girl’s second Zapruder film documented reaction; a much, much faster, impulsive reaction, that Rosemary displayed in an extremely rapid westward head snap that concluded with her head facing directly towards the grassy knoll picket fence corner location. + + + + This is the exact same grassy knoll picket fence corner location = where shortly after Z-217, after she had very rapidly snapped her head to face the grassy knoll, Rosemary stated to U.S. government assassination investigators that she watched a person who had been standing behind a “wall," suddenly and quickly vanish out of her view. + + + + This is the exact same grassy knoll picket fence corner location = from where many attack witnesses maintained that they heard, at least, one shot fired from. bullet hit anyone or the bullet hit the limousine . . . .
more than a 95 % certainty. being impacted with a bullet. Link . . . .
Additionally, MARY MOORMAN, as with several more close witnesses, stated that she also heard, at least, one additional distinctly separate shot (albeit audible or suppressed) AFTER the President's head had already previously exploded. that the last shot exploded the President's head . . . .
the fastest head snap reaction documented of all standing attack witnesses. This discovery research study also contains the Internet link to my "QuickTime"